Hepatitis C: Are you at risk and should you be screened? 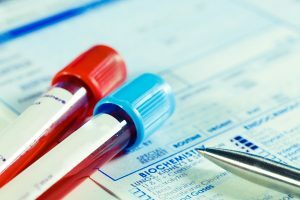 You may have read articles in the news or seen TV commercials about new treatments for the hepatitis C virus and wondered, “Am I at risk for this disease?” According to the Centers for Disease Control and Prevention (CDC), approximately 2.7 million to 3.9 million people in the U.S. are living with active, chronic hepatitis C infections, with 1 in 30 baby boomers estimated to be infected. However, nearly half of those people are not aware they are infected because the disease usually produces no or very mild symptoms in its early stages, which can last for several years. How does hepatitis C affect your health? Hepatitis C is a virus that causes inflammation of the liver. Long-term infection is called chronic hepatitis C infection. Some studies have found that in 14% to 50% of acute infection (when you are first infected), the body is able to clear the virus without treatment. However, the CDC reports that hepatitis C infection becomes chronic in about 75% to 85% of people infected. Untreated chronic infection may lead to serious health problems, including liver scarring (cirrhosis), an increased risk of liver cancer, and liver failure. Approximately 70% to 80% of people who become infected do not experience symptoms. The 20% to 30% who do experience symptoms usually do so two weeks to six months after exposure to the virus. Screening tests for hepatitis C infection can be done as part of any routine blood draw. The first test is a blood antibody test and if that is positive, more sensitive viral level testing is done. If you’re diagnosed with hepatitis C, the latest treatment options, a class of medications known as direct acting antivirals, are better tolerated, cause fewer side effects than previous treatments, and have a high success rate of clearing the virus from the body for many people. Talk with your doctor or health advisor to find out if you’re at risk for hepatitis C, if screening is appropriate, and what the potential risks and benefits of treatment are.